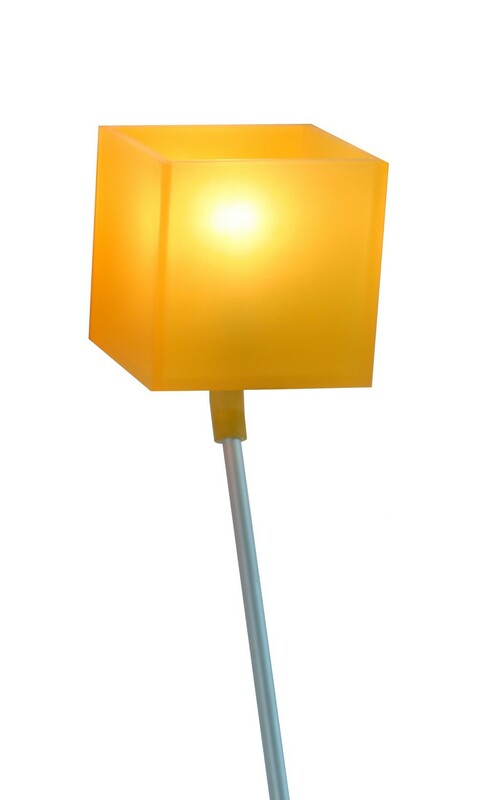 The Goods Lazy lamp yellow is a modern version of the well-known upright lamps. 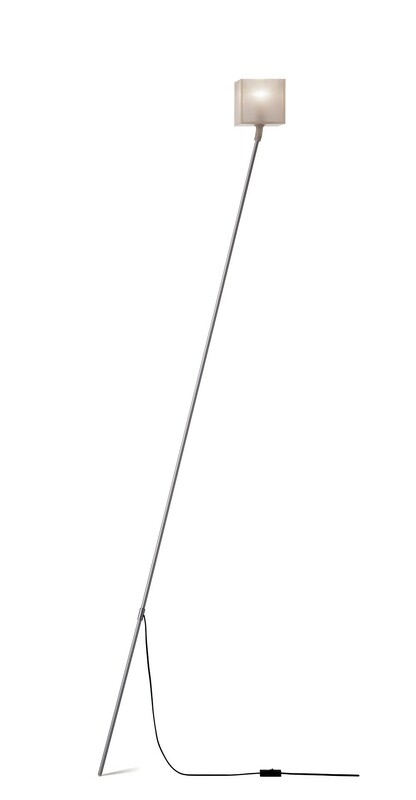 Because of the flexible lampshade, you can rest this lighting product against the wall in any random position. 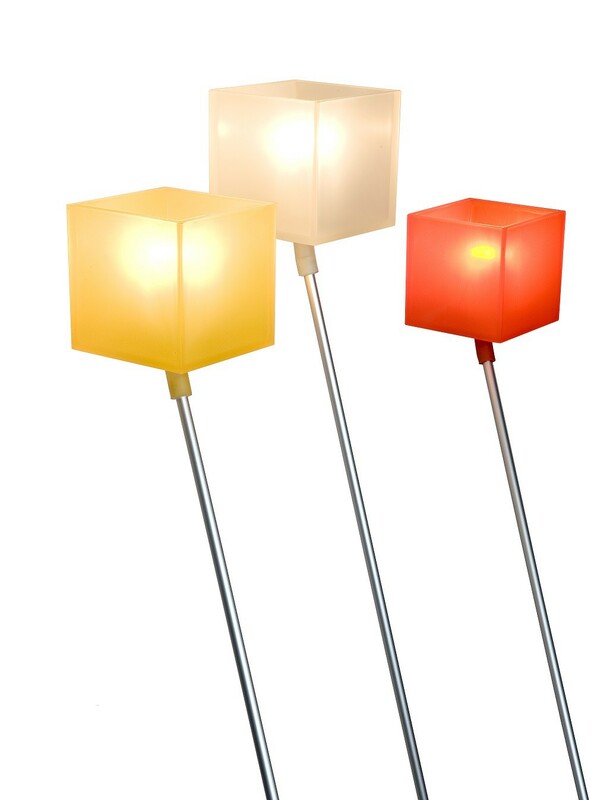 In addition to the yellow version, the lamps are also available with a white or orange shade. This makes the leaning lamp Lazy by Goods an attractive addition to your interior as well as a cheerful wall decoration made by an award-winning Dutch designer. The Lazy lamp yellow by Goods is an eye-catching yellow design lamp. This award-winning upright lamp is modern in its simplicity. The long leg (180 centimeters) and cheerfully colored, cube-shaped lampshade have a highly decorative value. As a result of the use of light and flexible materials, the Goods Lazy lamp can be placed against the wall in different positions. A top-quality design lamp! In 1997, designer Chris Slutter won the Dutch Furniture Prize (Nederlandse Meubelprijs) in the Young Designers category with this leaning lamp. He also received an honorable mention for Industrial Product Quality. Slutter is constantly looking to simplify his designs. To this end, materials are central to him. In the case of the Goods Lazy lamp yellow, a special type of plastic was developed to be able to position the cap of the lamps in a flexible manner. This way, you can rest the legs of the upright lamps against the wall in any way. The Lazy lamp yellow by Goods is an idle lamp. This means that it rests against the wall with its upright leg of anodized aluminum. 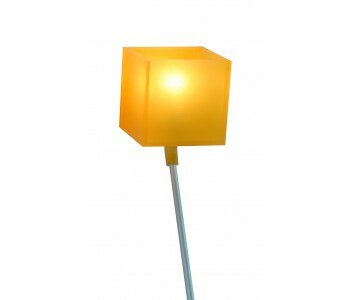 The lampshade of the Goods Lazy is a 12-centimeter square cube, which is available is 3 colors: white, yellow, or orange. By placing several Goods Lazy lamp or different colors together, these lighting products will provide your interior with color! The leaning lamp comes with a 25 W light bulb. This means that both lamp and lighting are ready for use!